The Kendallville, Ind., News Sun recently published a story about the new Charis Fellowship congregation in their community — Legacy Church (Dan Cosentino, pastor). Members of the congregation recently traveled to Alaska to help with a camp. A portion of the story appears below. Click here for the complete article. 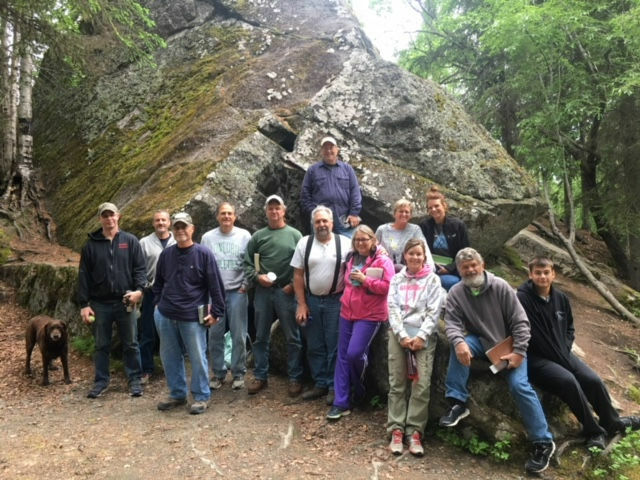 Legacy Church members recently made a trip to Alaska to help with a camp. Although the word “legacy” may connote different meanings for different people, for Dan Cosentino, “legacy” is all about his faith. “The word ‘legacy’ has a connotation of leaving something behind. We want to leave behind a spiritual legacy in our town that will continue to be a blessing for years and years,” said Cosentino, the head pastor of Legacy Church in Kendallville. Recently he and fellow parishioners helped spread a little of their legacy of faith on a mission trip to Alaska. Cosentino, along with help from an “inner launch team,” started Legacy Church on Sept. 11, 2016. Though Cosentino and his launch team were all living outside of Kendallville at the time, they acknowledged the need for a church. “A few years ago, some research was done about the religiosity of people in Noble County. The results were that 73 percent of people in Noble County had no religious affiliation,” he said. Cosentino and his team jumped at the opportunity “to be a blessing to the community.” Everyone on the team, Cosentino included, had connections to the county. Since then, Legacy Church has firmly established itself in the community, with services taking place at 10 a.m. Sundays in the Cole Center YMCA, and with a storefront office in downtown Kendallville.